Click here to download and read the full CCHR report The Real Crisis in Mental Health Today. Health care costs are being driven out of control by litigation, malpractice suits, fraud, and the coercive use of drugs and medical devices. Mandated mental health parity is an effort by the mental health industry to have governments force insurers, employers, consumers and taxpayers pay for a service they will not buy of their own free will. It drives up the cost of insurance and has skyrocketed the number of uninsured. By one estimate, one of out every four uninsured people has been priced out of the market by state-mandated health insurance laws. With mental health treatment costing up to 300% more than general medical treatment, spiraling costs are unavoidable when mental health care is mandated. Community Mental Health programs have an expensive and colossal failure, creating homelessness, drug addiction, crime and unemployment all over the world. Mental health courts assert that criminal behavior is caused by a psychiatric problem and that treatment will stop the behavior. There is no evidence to support this. Individuals are sometimes forced to pay for a legal defense against treatment that they do not want and against incarceration that consumes their insurance coverage. Psychiatry's budget in the United States for Community Mental Health Centers and outpatient clinics soared from $143 million in 1969 to over $9 billion in 1997. In 2011 the Missouri Department of Mental Health budget alone is over $1 billion per year. 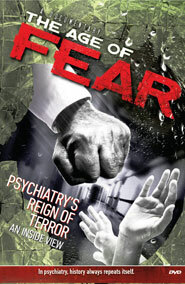 When governments and courts are lobbied to strengthen involuntary commitment and community treatment laws, and to establish “mental health courts” to promote treatment rather than punishment, they are never told of the lack of scientific basis for psychiatric methods, of the consequences of those treatments for the patient or of the lack of accountability for those treatment outcomes. Whenever a “mental patient” commits an act of senseless violence, psychiatrists invariably blame the tragedy on the person's failure to continue their medication. Such incidents are used to justify mandated community treatment and involuntary commitment laws. 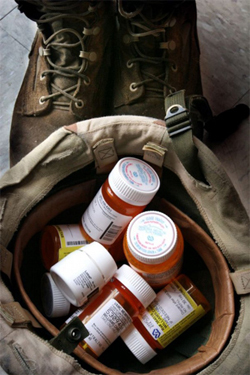 However, statistics and facts show it is psychiatric drugs themselves that can create the very violence or mental incompetence they are prescribed to treat. Proper medical screening by non-psychiatric diagnostic specialists could eliminate more than 40% of psychiatric admissions. Health insurance coverage for mental health problems should only be provided on the proviso that full, searching physical examinations are first undertaken to determine that no underlying and, thereby, untreated physical condition is causing the person’s mental health condition. In 2002, the U.S. President’s Commission on Excellence in Special Education found that 40% of American children (2.8 million) in special education programs labeled with “learning disorders” had simply never been taught to read. Decades of psychiatric monopoly over mental health has only lead to upwardly spiraling mental illness statistics and continuously escalating funding demands. While psychiatry strenuously denies it, much knowledgeable and skillful help is administered by non-psychiatric professionals. There are many non-psychiatric, humane and workable practices for the achievement and recovery of mental health, even for the most disturbed individuals. The claim that only increased funding will cure the problems of psychiatry has lost its ring of truth. Psychiatry and psychology should be held accountable for the funds already given them, and irrefutably and scientifically prove the physical existence of mental disorders they claim should be treated and covered by insurance, in the same way as physical diseases are. The many critical challenges facing societies today reflect the vital need to strengthen individuals through workable, viable and humanitarian alternatives to harmful psychiatric options. For more information, click here to download and read the full CCHR report The Real Crisis in Mental Health Today - Report and recommendations on the lack of science and results within the mental health industry..